Where can my guests see the gift registry I added? A Gift Registry can be added on the Invitation Options page under the Advanced Features tab. 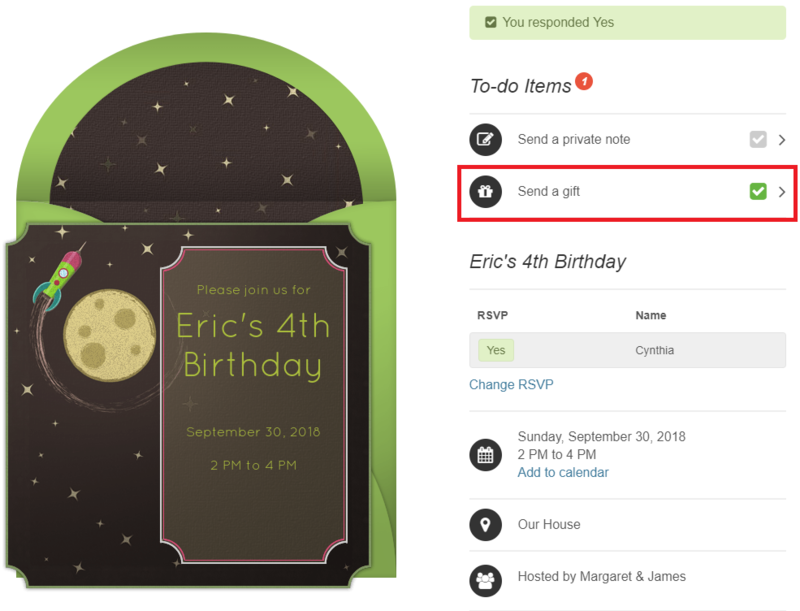 Once you have added a Gift Registry to your invitation or save the date, a Send a gift option will be added to the guest To-do list. Clicking this To Do item will open a page for you to view the registry.